This setting of one of America's favorite folksongs "Shenandoah" is a great opportunity for students to perform an a cappella work. As the piece floats along, propelled by a gentle surge of eighth notes symbolizing the "rollin' river," dissonances and melodic shifts lie beneath to challenge your choir. 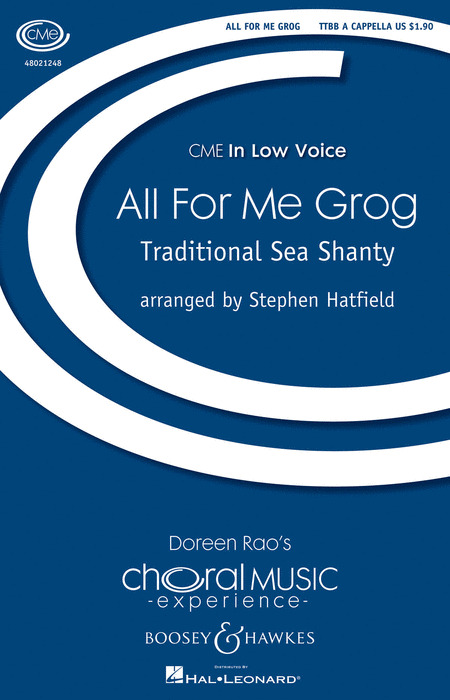 "All For Me Grog" - The rough and tumble life of a sailor and his adventures on the high seas is celebrated in this rousing English sea shanty known from Nova Scotia to Australia. This a cappella setting of a traditional South African praise song "Gabi, Gabi" just bursts with joyful energy. Dynamic contrast, percussion and a wide range of layered vocal textures make this an appealing concert choice. "Eili, Eili" - Cantor Rena Shapiro's take on this Israeli classic is a fantastic a cappella addition to any repertoire. The setting's savvy utilization of just three voices gives it lots of mileage with a beginning choir but provides plenty for an advanced one to work with in terms of expression and nuance. The piece includes sections in both Hebrew and English.